I still support the revolutionaries in Libya, though much more hesitantly than I did prior to the reports of their racist persecution of black African minorities. My reason for supporting the revolution is that Gaddafi was a brutal dictator who used Libya’s oil wealth to primarily benefit him, his tribe, and his loyalists, he created a cult of personality around him, and he brutally crushed and tortured his dissenters. I will cheer any time the country’s people overthrow a corrupt dictator who ruled the country with an iron fist for 42 years. However, in an earlier post I criticized American black nationalists who did not stand with the rebels because, the way they saw it, it was an imperialist war by the U.S. and they supported Gaddafi. With the disturbing stories of the rebels’ racist persecutions — which is neglected by the majority of the American media, as well as NATO and the NTC — black nationalists and Pan-Africanists have gone further to explain their defense of Gaddafi as one out of protecting black Africans. I doubt any of them expected or realized this racist persecution would come at the beginning of the revolution though. Gaddafi has often claimed to be a Pan-Africanist, a leader of Africa, and is a strong supporter of the African Union, but when he first took power he tried to be a Pan-Arab leader, unifying the Arab world and the successor of Nasser in Egypt, but he was generally disliked by the rest of the Arab world, so he switched his allegiance to the African continent and attempted to be the leader of Africa. Gaddafi was simply a narcissist who wanted more power, and when he failed in the Arab world, he reached to the African world. 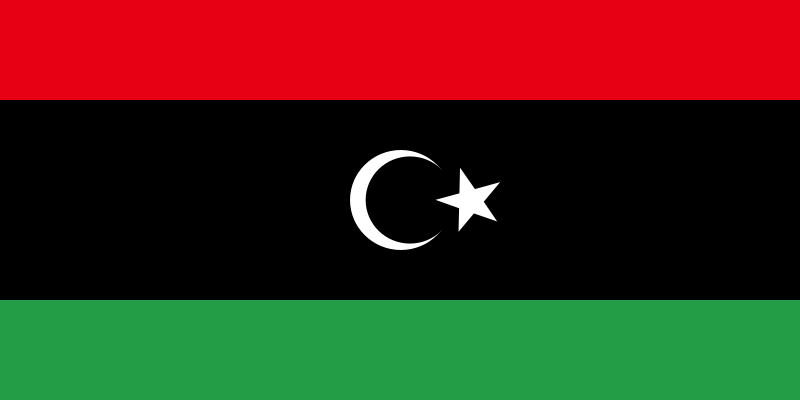 For those who truly believe Gaddafi cared about Pan-Africanism from the beginning of his rule, think about this: he changed Libya’s Pan-African of red, black, and green flag with a crescent on it to three different variations of common Pan-Arab flags before finally settling on a simple all green flag, which is a symbolic Islamic color and appears in almost all Arab flags. If he was a Pan-African all along, why would he switch the flag colors from Pan-African colors to Pan-Arab colors? Some “revolutionary Pan-Africanists,” as the site that I linked above claims to be, consider the rebellion one of counter-revolutionaries who are racist against Africans and detested Gaddafi’s vision of a united Africa. Gaddafi was also racist; he suppressed Berber culture and exploited migrant black Africans. Gaddafi supported the African Union (AU), and while the AU is a good idea in theory, its leaders are too plagued by corruption for it to be truly effective in improving Africa. For instance, the AU failed to take any actions against Robert Mugabe and Zimbabwe after he refused to step down after being voted out of office. Thus, I do not believe the AU truly represents what is in the best interests of Pan-Africanism or the African people. The AU’s approval and support of Gaddafi has prevented it from recognizing the NTC as the legitimate government of Libya, though some have already. The leaders of Zimbabwe, Algeria, and South Africa have taken a firm stance against the NTC, which will only push the new Libya further into the Arab orbit rather than the African one, which is a mistake by the AU. Gaddafi’s defeat is already obvious, so it is in their best interests to recognize the NTC and begin working with the new transitional government, especially since Libya is an oil rich country that could help the African economies. In addition, support from other African nations may reduce the animosity black Africans face from the Libyan rebels. While I understand why “revolutionary Pan-Africans” may see the revolution in Libya as a “counter-revolution” rather than a true revolution: 1. Gaddafi was a leading supporter of the African Union. 2. The rebels have persecuted the black Africans and have identified with being Arabs rather than Africans. 3. In recent decades, Gaddafi has used “Pan-African” rhetoric. 4. NATO’s support of the rebels may lead one to believe that the war was a neo-colonialist war for oil. 5. The article I linked to above claims “Gaddafi is not Mubarak and Libya is not Egypt,” and my only question for that is: why not? What’s the significant difference? But the truth is: Gaddafi was a brutal dictator who was generally disliked by his people. The African Union is, despite its best intentions, is plagued by corruption due to the amount of corrupt leaders that participate in it. Gaddafi’s claims to be Pan-African and unite the African world only came after he attempted to be Pan-Arab and unite the Arab world, but the Arab world rejected him because they saw him as a narcissist only looking to grab more power. The rebels are primarily Arabs and Berbers, both who primarily disliked Gaddafi for their own reasons (Berbers especially, since Gaddafi disliked them), and they make up the majority of the Libyan population. The instances of the rebels’ racism and violence toward black Africans is completely inexcusable and needs to be addressed by NATO and the NTC immediately. Nonetheless, this is a true revolution that is overthrowing a brutal dictator, which I support. They face many challenges ahead; any time you topple one government, the attempt to build a new one is never easy. There will be struggles for power, there will be rebellions, there will be unacceptable instances of violence, and it will take a while before they achieve stability, but their long-term future is brighter without Gaddafi than it is with him. Remember, it was not easy for the U.S. to build a new government when it first declared its independence; there were many challenges they faced, struggles for power, various rebellions, and they entirely scrapped their first government (the Articles of Confederation) before adopting the Constitution. Political problems plagued the U.S. government’s stability for many years before it managed to achieve a semblance of a true democratic government (which, even then, was not true democracy since it deprived so many people of the vote). Libya’s racism is inexcusable and needs to be ended immediately, and I believe NATO and the NTC need to take a firm stance on the issue, but I still believe this is a revolution — and not a counter-revolution — that will benefit the Libyan people in the long term. This entry was posted in Libya, politics, Race, Revolution, U.S. and tagged Africa, Gaddafi, Libya, NATO, Pan-African, politics, racism, revolution, U.S.. These were just some of the stats I found startling- particularly education. I’m sure you can see, that for the continent, and for developing countries, they are..not exactly negative. When the conflict started, I was aslo shocked at how many foreign workers there were- western and Arab and African-who had to flee. There was a refugee crisis for several moths, remember? Surprised how many were working in Libya under Gadhafi’s regime. And the killing of blacks- both Libyan and foreign oil, gas and agricultural workers- has been steadily reported over here in Britain. These and other facts over the last few months has changed my views- I mean the CIA stats (obtain 25th Aug, btw) suggested a standard of living that doesnt gel with the description of no benefits to the population at all- especially after reading the standard of living prior to the regime. And the amount of westerners working there, and the stats on trade with western and regional countries made me realise the great difference between what one is being told, and what was happening. The heavy use of NATO airpower belies the claims of victory due to popular uprising, as does the growing faction fighting. I can only conclude we’ve been involved in a long standing covert operation, supportig various factions inside Libya, coming to fruition. Well, thats…okay, I guess. I just hope the current fracturing of the NTC doesnt end up with anti-west islamists gaining power. (Thats certainly Algeria’s fear). I hope the black Africans stranded in Libya are evacuated by international agencies, and no more executed bodies (incl women) are found. Otherwise, we’ll have shot ourself in the foot…AGAIN. Thanks for the well thought out comments Erotha. You bring up some great points. Compared to most of Africa, Libya is definitely better off with superior infrastructure, education, water, etc. Gaddafi deserves some credit for it, but it also has a lot to do with Libya’s oil wealth. It has the most oil reserves of any African country and is one of the top oil exporting countries in Africa. You are right though — the Western media has been misleading about the standard of living in Libya, just as they have ignored the racism taking place in Libya. While the assistance of NATO air power does negate some of the accomplishments of a pure popular uprising, I do not think it completely eliminates the success of the rebels. They had taken some cities before NATO got involved, and led the ground fighting against a much better equipped military. They would not have won without NATO’s assistance, but is pretty difficult for the people to overthrow any modern military without some foreign assistance. Even going back to the American Revolution, the U.S. would not have succeeded in gaining its independence from Britain if it did not receive significant assistance from France, yet nobody looks back at the American Revolution as being tainted by foreign assistance. While I realize that NATO would not have supported the revolution if it did benefit it in some way (access to Libya’s oil reserves), it still seems to be an overwhelmingly popular revolt against Gaddafi’s regime, and as long as NATO allows the Libyan people to form their own government without interference, I am hopeful they can form a democratic government that will benefit them. Although Libya enjoyed a higher standard of living than most of Africa, it also suffered under a 42 year long dictatorship where dissent and freedom of speech were not allowed. Gaddafi’s critics were imprisoned and tortured, and he and his loyalists are responsible for mass executions. I believe, with Libya’s oil wealth, Libya can continue to prosper economically while also improving their human rights. The road won’t be easy, and the evidence of racist persecution by the rebels continues to trouble me, and the fact that both NATO and the NTC seem silent on the issue is even more worrisome. I agree that some international agency needs to take action on behalf of the black Africans; this is why I believe it is a mistake for the African Union not to recognize the NTC as the legitimate Libyan government. If they recognized them and cooperated with them, they could potentially put an end to these atrocities. Once order is restored, I am optimistic that these crimes will be put to an end, and if the different factions are willing to compromise and negotiate on a consensual government, I believe this revolution will — in the long term — be for the betterment of the Libyan people. Thanks again for the insightful thoughts Erotha. I appreciate it. I hope you continue to read my blog, and feel free to share your thoughts on any of my posts. I always enjoy feedback and input from other politically intelligent and socially aware people. epmckenna, I understand your ambivalence towards a revolution. Based upon the way we are raised in the United States, you believe that Libya is about to observe some sort of renaissance, and you also mistakenly seem to believe that political freedom and free speech are necessary for someone to be happy. You have to know African history in order to understand what is going on right now. Majority of African countries were colonized because some group felt oppressed by the other, and so they asked for European assistance. In exchange, the Europeans made them sign protectorate agreements making them colonies. If you wonder why Africa has no good leaders, they all die, or get couped. Kwame Nkrumah(Ghana), Patrice Lumumba(Congo, assassinated,CIA/Belgium), Thomas Sankara(Burkina Faso, asassinated, CIA), Stephen Biko(assassinated), Haile Salassie(assassinated, Soviets). The authoritarian regime in Libya was very necessary. Look what happened when Ghaddafi loosened his grip even just a little. Democratic regimes actually make imperialism easier than it is with a good dictatorship. From the beginning Ghaddafi has been a pan-africanist, in fact at the beginning of independence, most north african countries were pan-africanist before they were pan-arab. Led by Kwame Nkrumah(of Ghana) the Cassablanca bloc of the Organization of African Unity has ALWAYS supported a pan-african federation. Libya was an original member of this bloc in the 60’s. This is a very good article on reasons why the West wanted Ghaddafi out, with an in-depth analysis on his achievements as “president” in Libya and on his accomplishments for the African continent. Ron, I appreciate you taking the time to read my post and leaving your thoughts on it. You bring up some interesting points. However, you should not assume my ignorance — or anyone else who you don’t know — of African affairs simply due to being “raised in the U.S.” I am a college history professor and I am well aware of African history. I realize Europe colonized all of Africa, but you are wrong when you state that it was because “one group felt oppressed by the other, so they asked for European assistance.” No African people ever asked European nations to be colonized. African countries, for the most part, did not even exist in the modern form before colonialism. It was the European nations that carved up African territories, drew the borders of them, and essentially created them. The name Libya did not exist until Italy named it during its colonization of Libya, and prior to Italian control of Libya, it was under control of the Ottoman Empire. With the demise of the Ottoman Empire, its various territories were absorbed by different European imperial powers. The people of Libya were not thrilled with the occupation of Italy; nobody asked Italy to colonize them, and colonialism brought significant amount of problems to African countries that continue to exist today. I also know all about the history of the assassination of African leaders. If you read my post, I also never stated that Libya is about to undergo some sort of renaissance; I admitted they face many problems in the future, but I said Libya is better without Gaddafi than they were with him. You are wrong when you state that Gaddafi was a Pan-African before he was a Pan-Arabist; his revolution he immediately embraced Pan-Arabism, and did not emphasize Pan-Africanism until Arab leaders rejected him and he became disillusioned with the Egyptian-Israeli peace treaty. You are correct when you state that Kwame Nkrumah was a Pan-African before a Pan-Arab, but Ghana is not an Arab country, so that should go without saying. To say that “political freedom” and “freedom of speech” are not necessary to make someone happy, well, I suppose it’s not necessary, but clearly anyone would prefer it and it benefits society. People also do not need running water or public education to be happy, but that does not mean they do not wnat it or that it is not beneficial for society. If Gaddafi was loved by the Libyan people, there would not have been such a large rebellion against him. I suppose you believe Mubarak was a good leader as well? You can stand with dictators if you want, but if the majority of a nation rebels and calls for a leader to step down, I stand with those people. Ask the Berbers if they believe Gaddafi was a good leader — he wanted to destroy their culture. Any leader who mass executes and tortures prisoners does not deserve to maintain his power. There is absolutely no need in any nation for “authoritarian rule,” and I would love for you to try to elaborate on that. People want freedom and they want to have a say in their government. I have said all along that NATO had its own interests in supporting the revolution. This was not a simple humanitarian act by NATO, but they wanted a more Western friendly government, and of course it helps them that Libya has large oil reserves. That does not mean, however, that it will not benefit the Libyan people if the NTC can form a truly democratic government that grants human rights to its people, represents all of its people (not just works for those who Gaddafi prefers), and continues to use its large amounts of oil wealth to improve the nation. Just because NATO opposed Gaddafi, critics of NATO want to make Gaddafi into some sort of hero, when he was not. He was narcissistic, power hungry, and brutal towards his people. This is not a case of the U.S. overthrowing a democratically government and installing a dictator like they have done many times before (see: the Shah in Iran; Pinochet in Chile, etc. ); this is the majority of the Libyan people rising up against a repressive dictator for 42 years, and after the rebellion began, received assistance from NATO, in order to hopefully install a democratic government. Again, you can stand with the dictator who wanted to preserve the status quo if you want. 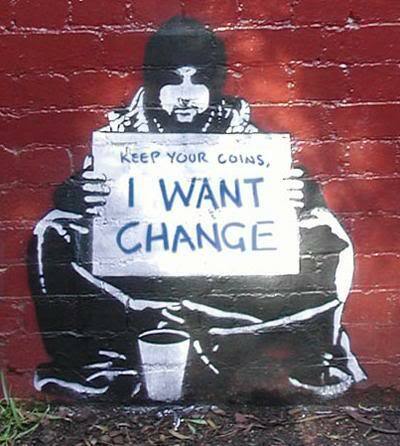 I stand with the people who demanded change. Let me first apologize if I offended you. When I made my comment about being raised in the United States, I was referring to both of us. The average American will look at the situation and think “revolution = good”, because of the way American history is taught to us in school. I honestly think an ignorance of African history always has to be assumed, like South America, Africa is a place in history class that is just never discussed. History books are filled with fallacies about what actually occurred in Africa, and they gloss over key events. When I said “one group felt oppressed by the other, so they asked for European assistance.” it was an over-simplification of what actually happened. I didnt mean that they signed themselves over as colonies FOR European assistance, the reasons various nations fell into colonial hands is diverse. What that statement actually came from was the situation with Pedro IV of the Kingdom of Kongo, in which various clans were fighting for control of the empire, and Pedro enlisted the help of the Portuguese in order to ensure his victory over the others. In return, they became a vassalage. In Ghana the situation was different, whereas all-out war was launched against the Ashanti Kingdom, Britain very gradually took control over the Fante Confederation through treaties and cooperation, and finally by force. Personally, I am up in the air about Ghaddafi. I know he committed extensive crimes, but so have the United States, France, and England. China commits crimes against its own people, as does Saudi Arabia. EVERY leader(even Obama) executes and tortures their prisoners. The current atmosphere with Ghaddafi is so thick with propaganda, it will be forever hard to find the truth. I know he suppressed certain cultures, but he did not commit genocide against anyone. I still think Ghaddafi was always a pan-Africanist, you say pan-Arabist, I say pan-Islamist. Remember Ghaddafi funded the Darfuris AGAINST the Arab Sudanese government. He was an Arabist so long as it suited him and his goals for power in that region. Ghaddafi was a narcissist, he wanted power, we know that. I do honestly believe that he thought HE was the best able to defend the continent from the imperialists, and the middle east from Israel. It would be too much for me to put all this into a comment though, I will eventually make a blog post which will be much more thorough on the whole subject. As far as to why I think authoritarianism is necessary in a country like Libya, and why democracy will probably fail. I will give you a short reason here, and elaborate later. Libya is surrounded by 2 french colonies to the south, a british/american colony to the east, Algeria to the west, and complete tribal chaos in Sudan(Sudanese govt is weak). The French are especially belligerent in the area, and complete chaos would take over in a libyan democracy. The French would try to take over the country, but they would be competing with Al-Qaeda, Italy, and Sudan. Factions, factions, factions. Libya will just become a battleground, its democracy will fail. So far it appears as if France has the ball, but thats because the arms are still flowing out, Algeria might even invade if it feels France is getting too powerful, or if Sudan/Egypt moves too strong. The rebellion was not a popular rebellion, it was a smartly planned insurrection by the French. Nouri al-Mesmari, the head of state protocol in Libya, left for France in October. Despite Libyan officials trying to get him back, he stayed and continued to meet with French officials. When Belhaj allegedly helped lead the riots in February Belhaj(the RELEASED Belhaj BTW, Ghaddafi let him and about 200 others FREE in goodwill) is said to have lead the protests and start the arming of civilians in Benghazi(but thats another article, a newer article), and expanded the fight to other eastern cities. Nouri Al Mesmari was the first Libyan official to defect the regime, and once Benghazi was toppled it became a bloodbath. Libyan soldiers were killed and burned alive, black Libyan soldiers and security forces(not mercenaries) were tortured. Regular black Libyans and immigrants get hung in the streets, violence breaks out across the East with blacks and Ghaddafi supporters/soldiers being tortured and murdered. Exiled Libyans are brought in to setup the NTC, the NTC creates a central bank, media war starts. Next in the Nafusa mountains French/British special forces and former libyan nationals get dropped off to bolster resistance against loyal tribes in the West. Belhaj ends up out there commanding the brigades. The whole situation is a mess, it smacks of colonialism. People were bought and paid for, regular citizens dont have a choice. Videos of the atrocities can be found online. The rebels dont allow free speech when they are detaining and/or killing all the ghaddafi supporters and dark skinned people they can find. Tawergha was ethnically cleansed…smh…I’ll do a blog post sometime to tie it all together and source everything. There are already some sites out there though. For the most part I supported what happened in Tunisia and Egypt, but the truth is we dont know what’s going on, only the propaganda that is told to us. I talked to someone in the Bahraini royal family…they told me that its NOT EVEN how its going in the news, thats not unbelievable to me, because Sudan is definitely not how they say in the news. But alas, its too much…the first casualty of war is truth. Thank you for the apology; perhaps I overreacted, but I get offended when I feel people assume I’m just another naive American with no knowledge of history. You are right though — African history is definitely ignored in the history books. I believe history altogether is dumbed down in the majority of history classes, and it is always very Eurocentric. Americans have little understanding of world history outside of Europe and the U.S., which is too bad because if they understood the history of South America, Africa, and Asia, they would better understand colonialism and imperialism, and how Europe and the U.S. underdeveloped other countries for its own benefit. There are definitely concerns with the rebels and this brutal acts towards the dark black Africans in Libya, and I have written about it in several posts. As you said, there is a lot of misinformation out there, so it is hard to tell how widespread it is. The media has for the most part completely ignored it, which makes it even more difficult to know the extent of it. In the chaos of a revolution, when various rebel factions have access to guns and it is difficult to police them, it is unfortunate that some inevitable human rights violations will happen, but I just hope it is not too widespread, and I certainly hope the NTC makes a stern condemnation of the racist violence, and they must say they will punish any rebels found guilty of it. You are also right that many other leaders, including Obama, are responsible for human rights violations and torture. Hell, the CIA tortured people in Libya with Gaddafi’s approval. But I oppose any torture, whether it is from Obama or Gaddafi. I admit Gaddafi did do some progressive things for Libya, and helped its economy, but I believe a nation’s progress stalls if it has the same authoritarian leader for too long, and I believe it was time for Libya to go undergo change. There will be bumps in the road for sure; no revolution is ever easy. It is difficult to establish a new government that everyone will be pleased with. But I am hopeful for Libya, as I am for Tunisia and Egypt, that they can build better governments that respect the people more than the ones they had, while resisting the temptation of becoming Western puppet regimes. I have no doubt the U.S., Britain, and especially France intend to influence the politics of a “new Libya” for their benefit, but I am hopeful the Libyan government can resist it. I do not want the new Libyan government to be anti-West either, but I just don’t want the West to dictate their policies. Anyway, thanks for commenting and reading my post. I hope you will continue to check my blog and feel free to share your thoughts on any of the various political subjects I write about. Also, you mentioned having a blog? Provide me the link and I’ll check it out.